Today we all had fun celebrating the birthdays of IYK children born in August. 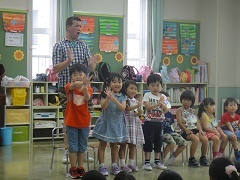 Three 4 year olds, two 5 year olds and four 6 year olds all did a great job saying their names and how old they are – ”I’m 5!”. 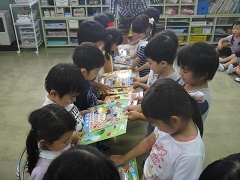 All the birthday children enjoyed hearing the Happy Birthday Song and got a present from their friends in their class. 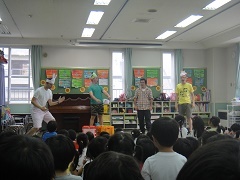 Lastly we were visited by 3 new animal friends- a turtle, a rabbit and a fox who showed us that being fast at everything is not the best, especially if you make mistakes. It’s most important to try your hardest and you will do well. Happy Birthday August friends!